Add a touch of shine to craft projects of all kinds. 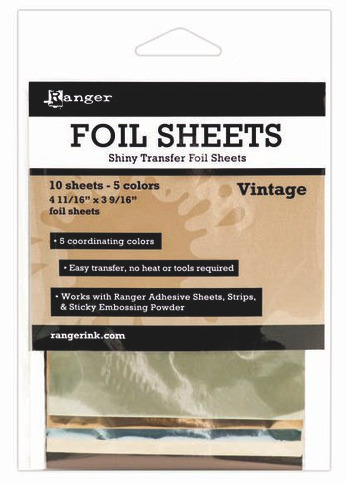 These foil sheets from Ranger are quick and easy to apply with no extra tools or heat required. Use with Ranger Adhesive Sheets, Strips and Sticky Embossing Powder (each sold separately). Each package includes ten foil sheets in 5 colors that measure approximately 4 11/16" x 3 9/16".